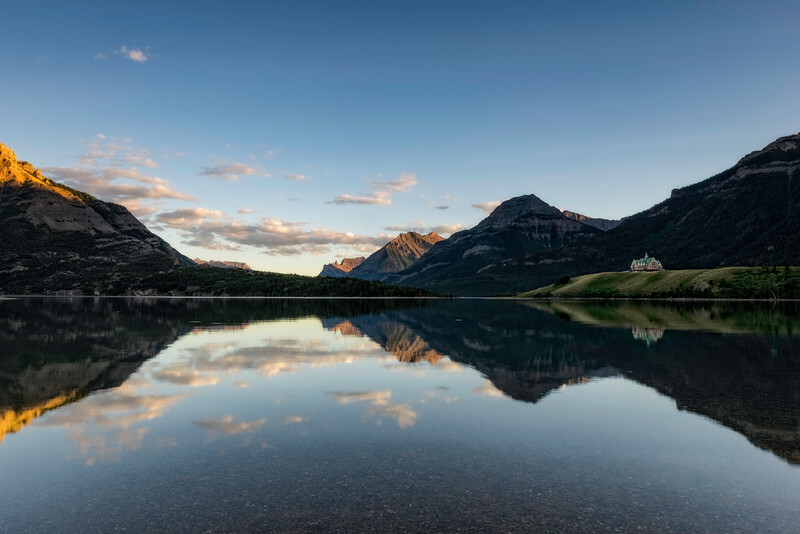 Landscape photos from Waterton Lakes National Park. All Landscape and panoramic photos captured by Dats Photography on trips to parks Canada notional parks system. Reflection of Prince of Wales Hotel. Waterton National Park Alberta Canada.